A place teeming with sunshine, lovely things, happy people and blooms that smell as pretty as they look. That is what I imagine Heaven must be like. In that case, you can say Ever Something is Heaven on Earth. The day prior to Valentine's Day was no different. Bustling and beautiful. The cooler was packed with stunning arrangements and the crew was busy creating more to delight local sweethearts. I was lucky enough to take it all in for a brief time and observe two of the artists at work. 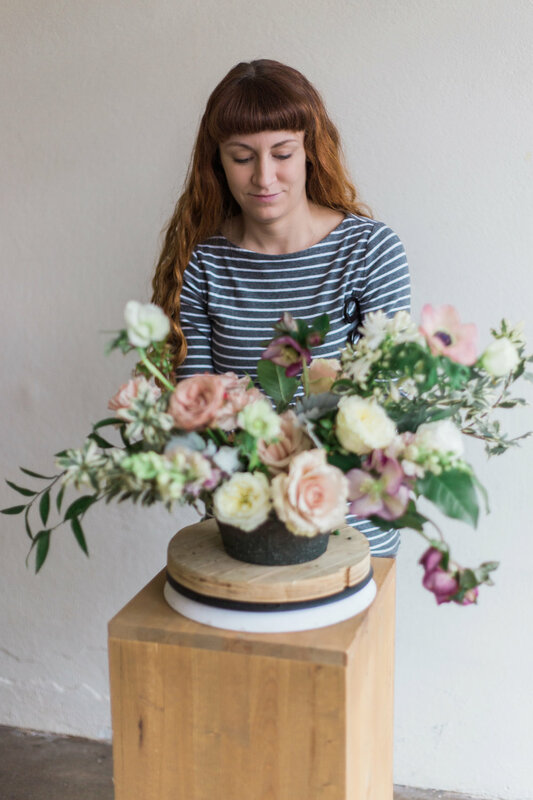 Arranging flowers is a dance for Taylor Fowler (co-owner + lead florist). At times with shears tucked under her arm or blossoms carefully clenched in her teeth, she spun the creation to inspect from all angles and even adjusted an obstruction for a view in better light. What seems like second nature is a way all her own, one that's taken experience to perfect and continues to evolve. The way she designs with such subtle flair is enchanting and appears to be effortless. Furthermore, Taylor is just as kind as she is gifted. She's humble, hard-working and her gentle nature allows her work to speak volumes. 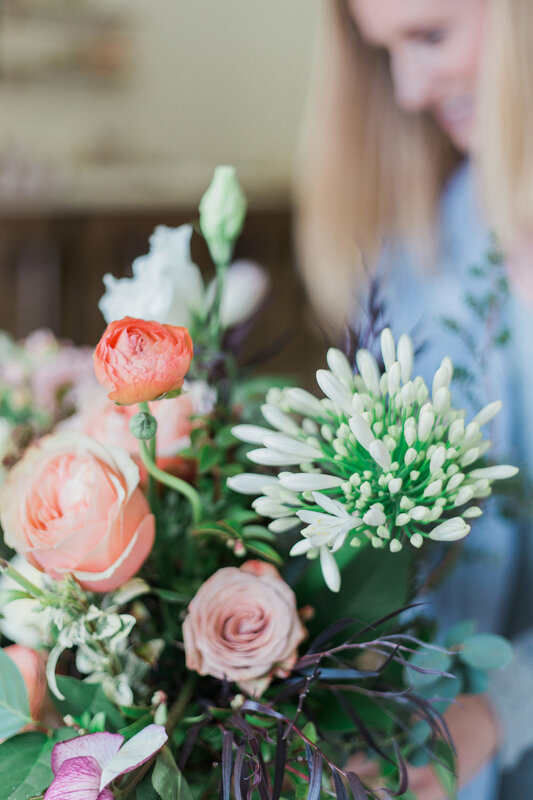 While we chatted about a spectrum of topics including; Ever Something's recent Tulsa World feature, our sweet children and mood reflecting in what people produce, Katie Carpenter (co-owner + lead planner) put the finishing touches on a real showstopper. Katie is as wonderfully talented as she is wise and business savvy. She is the embodiment of classy and approachable, traits that are essential in managing such a complex business well, plus building relationships with both staff, clients and other vendors. There are many key points that amaze me about these women, their craft and their successful business. They're both wonderful mothers, wives, friends AND entrepreneurs all at once. They truly love others and recurrently pour into their community. Always fresh and aesthetically pleasing, their designs are each uniquely spectacular yet retain the signature "Ever Something" look. 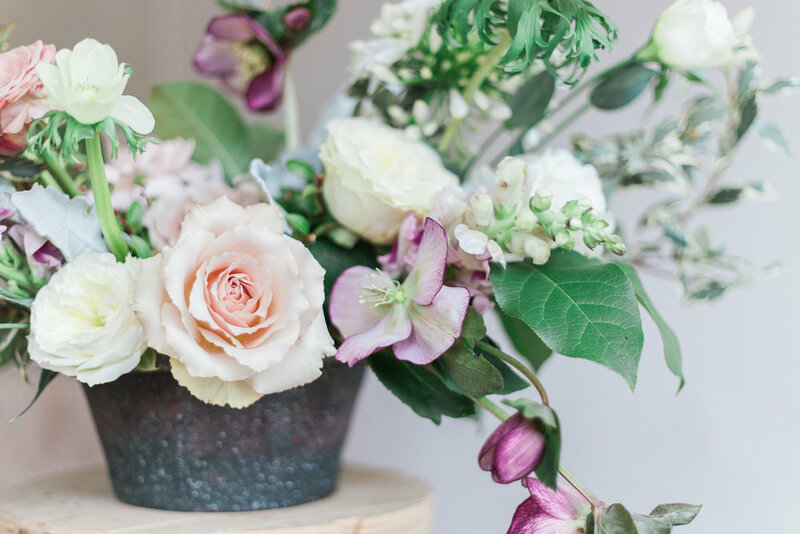 From beautifully curated retail goods, a cutting-edge approach called "The Floral Bar" to impeccable custom services, Ever Something has celebrations covered. If you haven't yet had the pleasure of visiting the shop (located in the creative Kendall Whittier district) you MUST. Heaven on Earth, people. Want to learn some of the masters' invaluable tricks? They're sharing the wealth and regularly host in depth workshops! 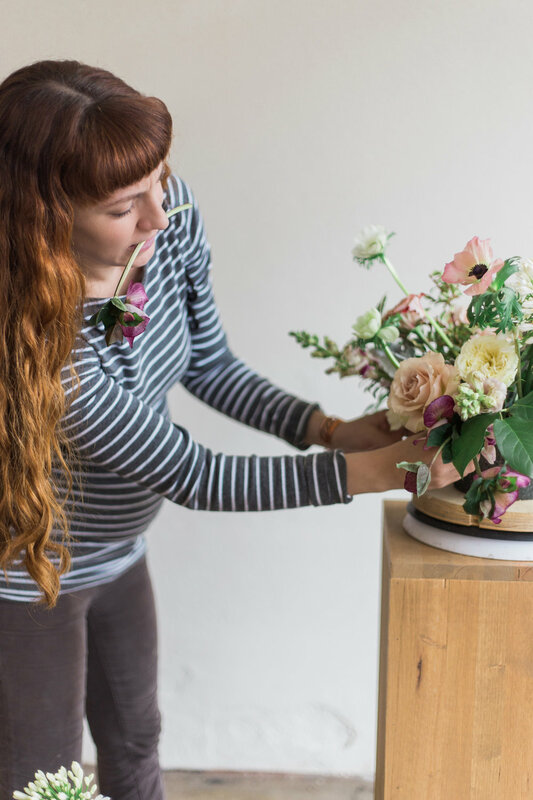 The upcoming "Large Compote Floral Class" will take place April 2nd. 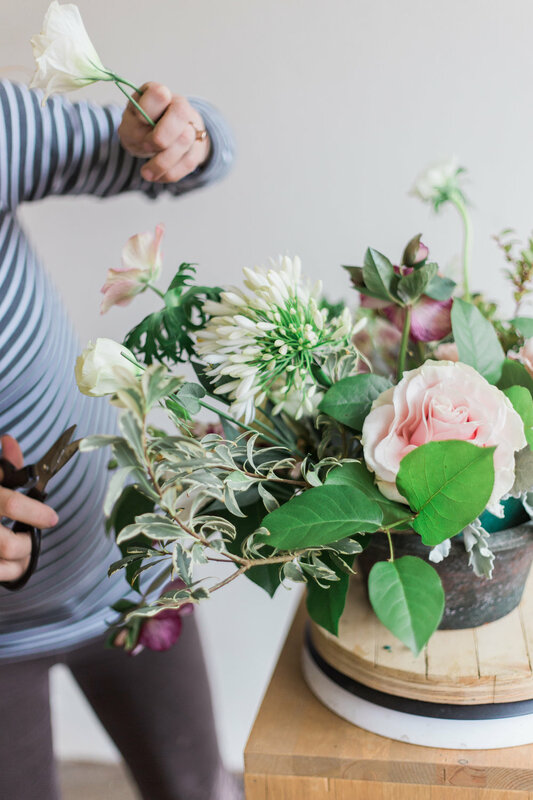 Spend an afternoon in good company, play with incredible Spring blooms and learn the art of arranging. A little bird told me they're generously giving away a seat! Find and follow @eversomething on Instagram, where you'll find out how to enter (a few posts back).